He shuffled through the doorway, his visit proved an unexpected one. I’m not sure how the boy surfaced at our house, but he was known to canvas the neighborhood in search of a playmate from time to time. However, he’d been missing lately. My oldest son was similar in age, so it was natural to invite the young boy to our table. A few other children, cutout cookies, and sugary yuletide adornments waited. As the boy took his seat, our annual Christmas cookie decorating session officially began. Our young neighbor embraced the task at hand, unaware of the fun with which he was about to tangle. The children iced. They tossed sprinkles. They even taste-tested. The boys and girls giggled and repeated the pattern, over and over. The sight was pure joy. They stuffed their bellies with sweet, sugary holiday goodness. Their hearts, meanwhile, seemed to overflow with love as they spent time together. I was glad to establish this tradition; relieved I took time to offer the icing plop, taste-testing sit-down amid a busy mothering day. After a few hours of cookie fun, our young visitor bid farewell. We waved from the porch steps, watching him round the corner. That was the last time we ever saw him. The young boy was a foster child. His gift of time spent with us was a final farewell overflowing with love. I’d like to think the cookie session was an important ingredient in the mix. It’s Christmas cookie time once again. Remembering our visitor causes me to consider how impactful a simple visit proves, how a gift of time can pour such love. What would happen if we gifted our time this season? It’s easy to be wrapped tightly in a package of busyness, tied with a ribbon of hustle and bustle during the Christmas season. Falling prey is possible for any of us. After all, there are parties to attend, shopping to complete, and cards to sign, seal, and deliver. But is there room to give the beautiful gift of time, wrapped with love? God didn’t ask for our long or short Christmas list. No, He knew what we needed – even before we did. He gave a treasure that gold or silver can never buy, a gift wrapped in love: Jesus. The end result was salvation and hope for you and me. There’s another pertinent gift I see that Jesus gave. It has an aroma similar to our friend’s visit and the cookie decorating party, albeit Jesus-style. He gave the gift of time to people. He gave love. Jesus came down to earth. He spent time with people. Conversations, healing, and deliverance are peppered throughout the gospels as a result. I’m amazed how a man with leprosy was cured (Matt. 8:1-4) or how a paralytic stood and walked home (Matt. 9:1-7) after a simple visit with Jesus. He took time for people. What about us? Are we offering our time to people? How about gifting a generous portion this Christmas season? Feel free to put one of these ideas into action or gather your own and give it a go. 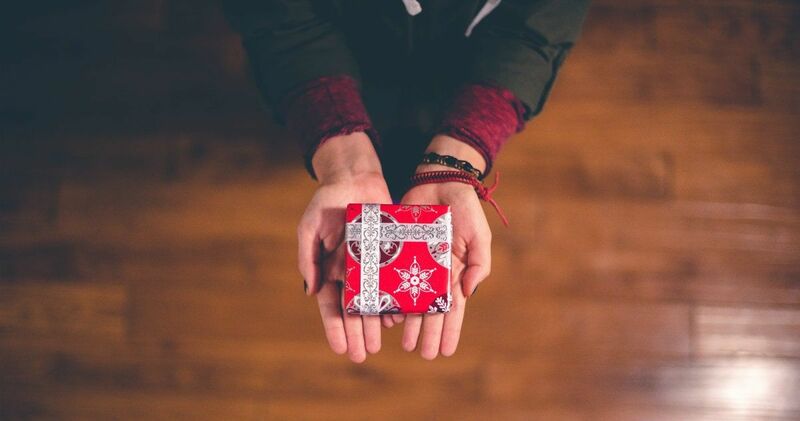 Like Jesus, let’s love on others, generously offering the gift of time this Christmas season. 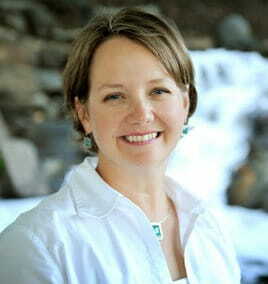 Kristi Woods is a writer and speaker passionate about seeing women walk deeper with God. She clicks her words of encouragement at http://www.KristiWoods.net regularly and is published in Chicken Soup for the Soul: Dreams and Premonitions as well as on Proverbs 31 Encouragement for Today and on various blogs. Kristi, her retired-from-the-military husband, and their three children survived a nomadic, military lifestyle and have now set roots in Oklahoma. Connect with Kristi here: Facebook, Twitter, Instagram, and Pinterest.